As developing ontologies of subject areas is a rather complex and time-consuming process, various methods and approaches have been proposed to simplify and facilitate it. Over the past few years, the approach based on the use of ontology design patterns has been intensively developing. The paper discusses the application of ontology design patterns in the development of ontologies of scientific subject areas. Such patterns are designed to describe the solutions of typical problems arising in ontology development. They are created in order to facilitate the process of building ontologies and to help the developers avoid some highly repetitive errors occurring in ontology modeling. 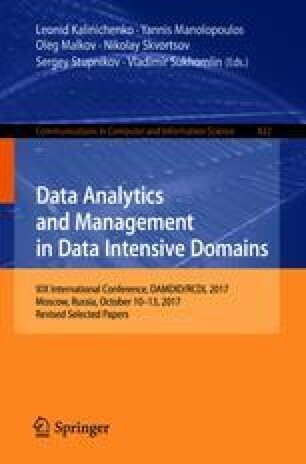 The paper presents the ontology design patterns resulting from solving the problems that the authors have encountered in the development of ontologies for such scientific subject areas as archeology, computer linguistics, system studies in power engineering, active seismology, etc.